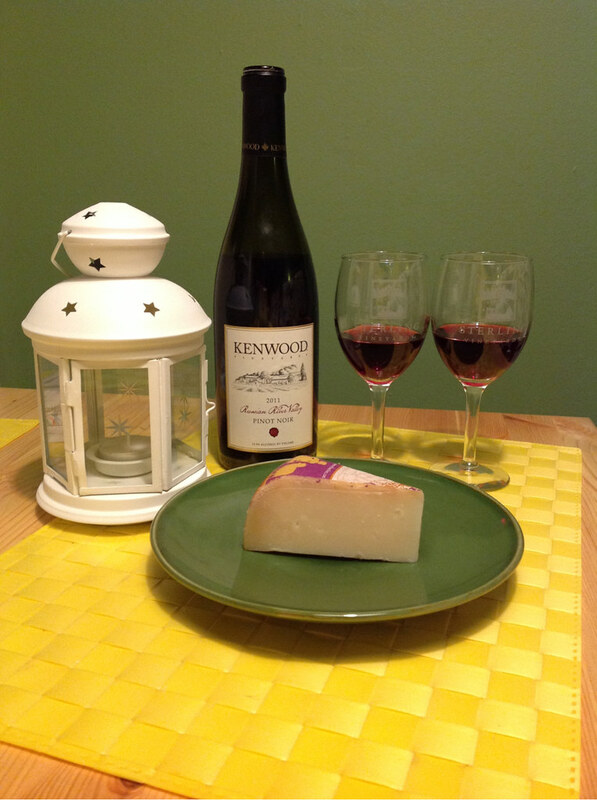 For this Pinot Noir we both smelled different aromas, I noticed light oak, fruit and a hint of sweetness, while Neil found violet flowers and a little bit of spice. When we tasted the wine it was initially smooth with an appropriate amount of spice for me but I’d sum it up as light, earthy and spicy. Neil described the flavors as floral, plum, and maybe peaty. He enjoyed it. In order to choose our cheese, we decided to visit a new store, a few blocks North of us, Real Food Company. (http://www.realfoodco.com/) The store employee highly recommended the Aged sheep Gouda, and, since we really enjoyed an aged gouda cheese before, we were super-pumped! The Aged sheep Gouda was terrific! We both had high ratings for it. Neil said it was nutty and Tasty and that the cheese melted in your mouth, coating it with flavor. I thought it was crunchy, a little salty and nutty with lots of flavor! It also had a great texture; not hard or soft, just right. We agreed that it was one of the best cheeses so far! When we paired the Pinot Noir and Aged sheep Gouda, the wine seemed more earthy to me and Neil found the spice to be extremely magnified. We both noticed more alcohol flavor. Neil liked the wine and cheese individually but not together. I found the wine to be too light.